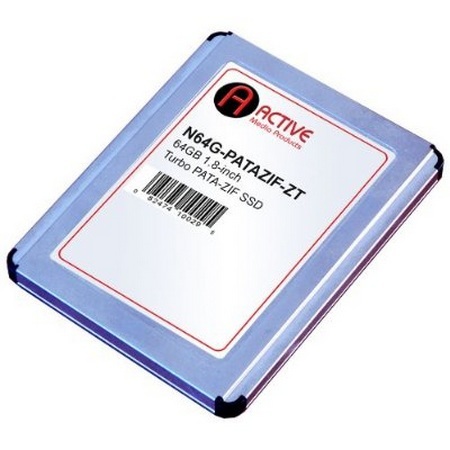 Active Media comes with 1.8-inch 64GB SaberTooth Z PATA ZIF solid state drive, with read and write speeds of up-to 80MB/sec and up-to 55 MB/s respectievely. It has a form factor of 54x32 mm. The SaberTooth Z accommodates a wide range of ZIF cable thicknesses that includes standard Toshiba and Hitachi cables. It is compatible with 40-pin ZIF HDDs and is also proposed as a upgrade kit that includes a mini screwdriver and a USB-ZIF cloning adapter for easier upgrades. 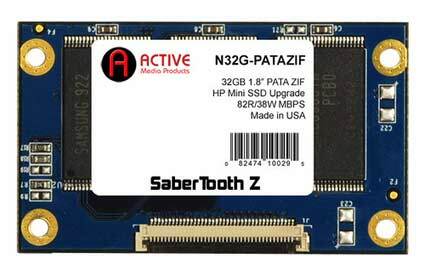 The price tag of SaberTooth Z drive is $179 and for the upgrade kit you have to pay an additional $10. Both products are available now on Amazon.com or directly on ActiveMP.com. Tags: 1.8-inch, Active Media, SABERTOOTH, SaberTooth Z, Solid State Drive, SSD for Notebook, SaberTooth Z PATA ZIF SSD, Active Media 1.8-inch SSD, Active Media SaberTooth Z ZIF SSD, Active Media SaberTooth Z ZIF SSD features, Active Media SaberTooth Z ZIF SSD specifications, Active Media SaberTooth Z ZIF SSD review, Active Media SaberTooth Z ZIF SSD details, Active Media SaberTooth Z ZIF SSD availability, Active Media SaberTooth Z ZIF SSD specs, Active Media SaberTooth Z ZIF SSD images, Active Media SaberTooth Z ZIF SSD pics, Active Media SaberTooth Z ZIF SSD pictures, Active Media SaberTooth Z ZIF SSD price.